little anecdote | roller derby, etc. Hey skaters! Roller derby fans! Other people who got here my mistake! What’s happening? So, we’ve been together a while. We’ve talked about the basics. What’s next? How I can I use my long experience of attempting to play roller derby despite total lack of talent…to help YOU? What topics would you like to see covered here? Manatee Monday – it’s a thing! 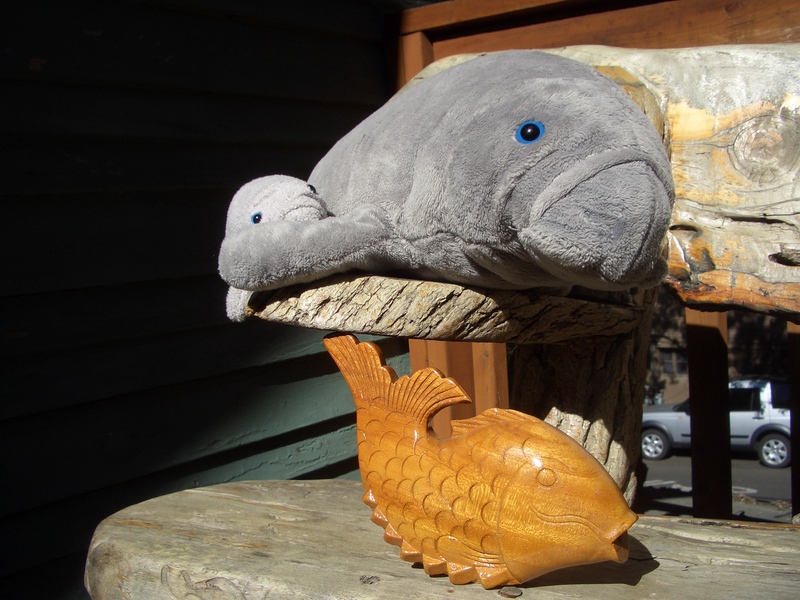 Manatee Monday – it’s a craze! My new best internet friend posts a new manatee comic every week. On Mondays. Because it’s a thing. It’s a craze. It’s a movement. I mean come on – last week’s was like a direct line from my heart. I’m not quite sure what to rock out to this afternoon. Here’s a start. What’s your favorite sunny day jam? Hey, I wrote about all the changes in Rose City rosters over at the Rose City Rollers blog. Writing about being retired was not sad. I’m okay, you guys. I wrote this one blog about how sad I was to retire but that was one moment in time. My feelings are great. When will Downton Abbey Season Two be added to Netflix Streaming? …just as a couple of suggestions. To go to champs? Or not to go to champs? Should I go to champs? I applied for a media pass – and who knows? The WFTDA will probably laugh me out of their email inbox, but I’ve got things to say! People link to me! In these dark days with no Derby Deeds, where will people get their sassy versions of unfolding roller derby events? Right now plane tickets are about $300 to Atlanta from Portland. Not too bad. The derby would be good, to a point. But $600+ out of my pocket good? Not sure. I would definitely need a media pass or VIP. Last year at champs it was hell to fight for a decent seat until I lucked into VIP. Heaven. Trackside heaven. Someone convince me to go. Or not to – maybe you’re tired of my opinions. That’s fair. How close to manatee habitat would I be in Atlanta? Programming note – This site is moving servers at some point in the next week or so. I’m expecting the transition to be smooth, but one never does know. If something goes wrong: DO NOT PANIC. Look at a kitten video, then go back to work. You’ll forget you ever visited this blog at all. Alternate title: Never let the other jammer catch you. A couple of years back, Bonnie Thunders and OMG WTF came to Portland for Derby Daze and stayed over a little while. Like a lot of skaters hanging around Portland, they came to our regular Wednesday scrimmage. At one point, I ended up jamming against Bonnie. It didn’t take her much time to get out of the pack, unsurprisingly. It took me longer (natch), but I did, and ended up maybe a half lap ahead of her as she came around after a scoring pass. Getting through the pack took a lot out of me, because, you know – jamming is taxing. While I knew that Bonnie Thunders was coming up behind me, I didn’t much care if she caught up or not. After all, what could I do against that kind of unstoppable force? Bonnie Thunders yelled at me. My first reaction was to be mildly pissed off. I don’t care for the other team telling me how to play, no matter who it is or what their intentions might be. My second reaction was to skate faster. She didn’t catch me, and she called off the jam. Later, when my competitive brain turned off, I thanked her for the on-track advice. So, remember, when you’re tired and the other jammer is coming up: Bonnie Thunders judges you. Or: Don’t let the other jammer catch you. Ever. This has been a little anecdote. Sometimes we worry about our manatee friend. There are days when he spends an awful lot of time alone here at the house. Once in a while he gets to go on a car ride, or to the movies or the beach, but most human destinations are just not particularly manatee-friendly. There’s no Take Your Manatee to Work day. At least not where we work. 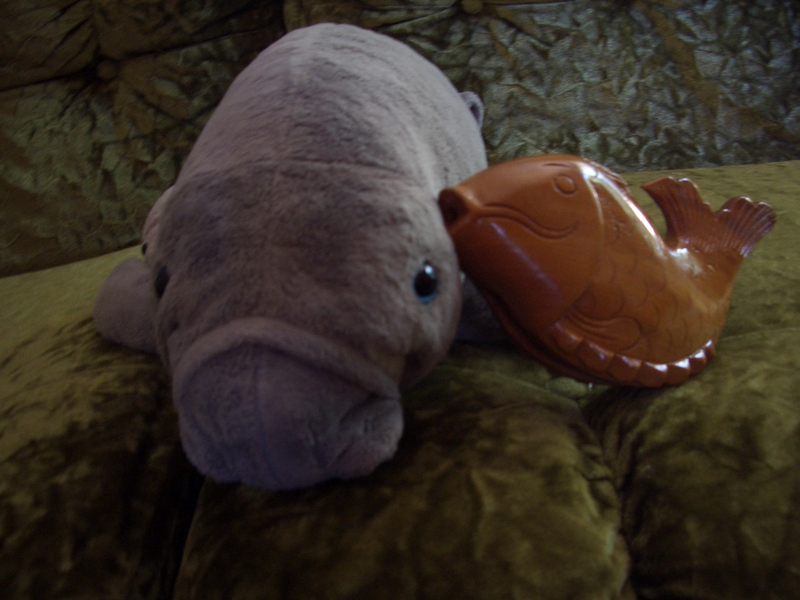 This week, Manatee got bored, swam upstairs, and met Charlie the Fish. Now they do everything together. They sit on the porch and watch the world go by. 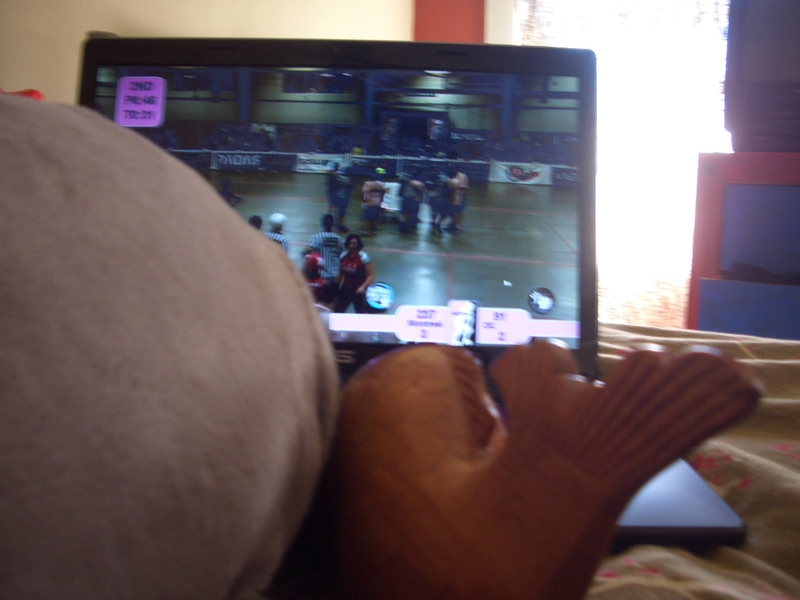 They bug me while I’m watching roller derby, and keep asking if Florida is playing, even though I told them seven times that Florida is playing NEXT weekend. Frisky's TBT - Go Fitness!